Richard M. Costa has been involved exclusively in the field of immigration and nationality law for more than thirty-five years. 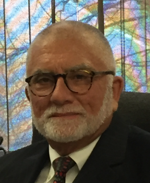 He joined the Boston office of the Immigration and Naturalization Service (INS) as an Immigration Inspector at Logan International Airport in 1970 after obtaining his undergraduate degree from Boston College. He was involved in a wide variety of matters at INS including responsibility for adjudicating applications for temporary and permanent visa status. He earned his law degree in 1975 from Suffolk University Law School and thereafter became a Naturalization Attorney in the Boston INS office. In 1979 Attorney Costa established the Law Offices of Richard M. Costa. Since that time he has limited his practice exclusively to immigration and nationality matters. He has extensive experience with most areas of immigration law, with special emphasis on complex labor certifications, visa petitions (temporary and permanent), and adjustment of status applications. His clients have included both large and small corporations, universities, hospitals, and other institutions, as well as individuals from more than 150 countries. Attorney Costa served as an Adjunct Faculty at Lesley College where he taught a graduate course in immigration law. For many years he has taught a course entitled “How to Obtain a Green Card” at the Boston Center for Adult Education. He has also lectured before numerous professional, student, and business groups on a variety of topics in the area of immigration and is the author of two articles published for the immigration bar. He is a former Chairman of the Massachusetts/Rhode Island Chapter of the American Immigration Lawyers Association and continues to be an active member of this organization. Attorney Costa has been awarded an “AV” rating by Martindale-Hubbell. 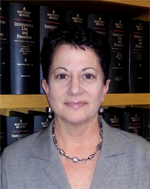 Laurie B. Riccio is a graduate of Bentley College and New England School of Law. She also practices immigration law exclusively and has developed substantial expertise in those areas in which the firm concentrates, including complex labor certifications, visa petitions (temporary and permanent), adjustment of status applications, and citizenship and nationality issues. Clients include both large and small corporations, universities, hospitals, and other institutions, as well as individuals from more than 150 countries. She is a member of the American Immigration Lawyers Association. Since 1988, she has been a Faculty member at Northeastern University where she is a part-time lecturer at University College teaching classes in Business Law. She is admitted to the bar of the Commonwealth of Massachusetts and the United States District Court for the District of Massachusetts. She is also a member of the Massachusetts/Rhode Island Chapter of the American Immigration Lawyers Association and is a former liaison to the U.S. Citizenship & Immigration Service’s Vermont Service Center. 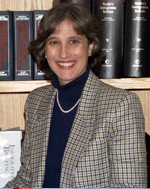 Ellen Davey-Fleming joined the Law Offices of Richard M. Costa as an Associate Attorney in 1999. She earned her law degree from Georgetown University Law Center and also has a Master’s Degree in Education from the University of Pennsylvania. Previously, she was an Associate Attorney for four years with the law firm of Ross, Martel & Silverman in Boston, specializing in family immigration, business immigration and asylum cases. Prior to receiving her law degree, she served as a legal intern with the United Nations High Commissioner for Refugees in Washington, D.C. and worked as a legal intern and immigration paralegal for law firms in Philadelphia and Washington D.C.
Amara Neng holds a B.A. from Yale University as well as a J.D. and a Graduate Certificate in Human Rights from the University of Connecticut School of Law. 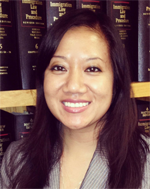 Prior to attending law school, Ms. Neng worked as a legal assistant at Costa & Riccio for more than two years. During law school, she served as a student attorney in the Asylum and Human Rights Clinic where she successfully obtained a rare grant of humanitarian asylum in Hartford Immigration Court for her client who suffered severe persecution during the Rwandan genocide. Ms. Neng also successfully filed for and obtained a trafficking (T) visa for her client who was a victim of human trafficking in the United States. For her work, Ms. Neng was awarded the Hon. M. Joseph Blumenfeld Award for Outstanding Client Representation. During law school, Ms. Neng served as a legal intern at the Center for Children’s Advocacy in Hartford, CT. She also organized multiple clinics that assisted indigent families in and around Connecticut who were facing termination of utilities due to inability to pay. Before joining Costa & Riccio as an Associate Attorney, Ms. Neng worked as a Litigation Associate for a well-respected law firm in Boston, where she handled a variety of civil matters, including, but not limited to, contracts negotiations, insurance defense, employment discrimination, and complex business litigation. Ms. Neng is very actively involved in a number of charitable causes in the U.S. and abroad. For many years, she has participated in and/or led several trips through various nonprofit organizations to Mississippi, Louisiana, New York, Mexico and Haiti, where she has assisted in the construction of homes for those without safe and secure shelter. She also supports and volunteers with an organization that rescues and provides for orphans living in Haiti. In addition, Ms. Neng has spent several weeks volunteering in Panama with a nonprofit that provides medical care to remote villages that lack access to proper healthcare. Ms. Neng is admitted to practice in the Commonwealth of Massachusetts and the U.S. District Court of Massachusetts. She is a member of the American Immigration Lawyers Association, the American Bar Association and the Massachusetts Bar Association.